Hi there, my darlings! Most of you probably know by now that my baby sister is obsessed...and I mean, OBSESSED with lip balms. Whenever I fly home to India, there are just two staples on her wishlist--Chewy Chocolate Chip Cookies...and yup, lip balms! I kid you not when I tell you that I cart home bags of this stuff for her! 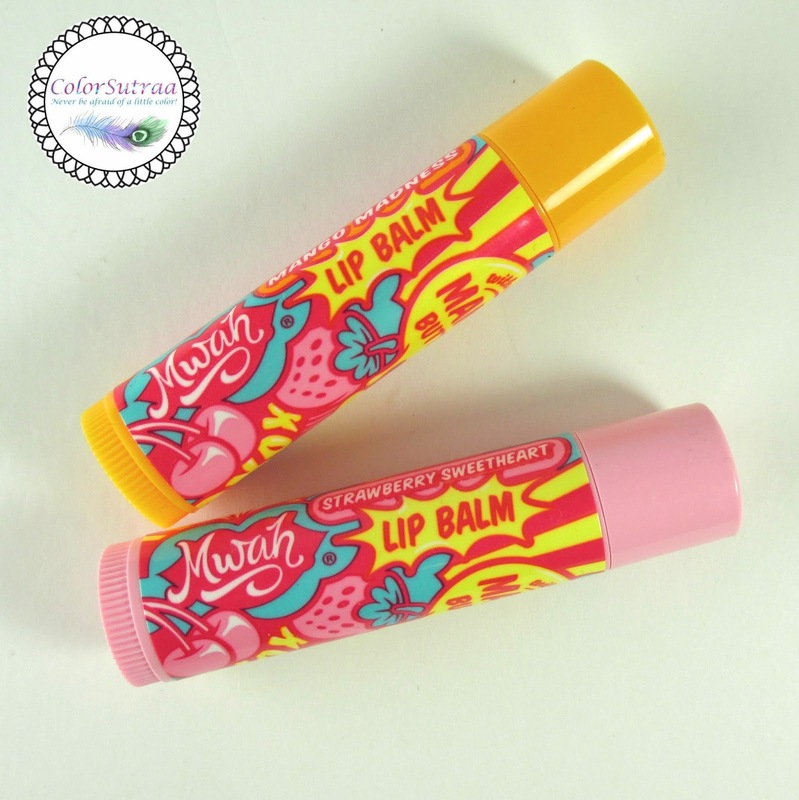 So, when the makers of Mwah lip balms approached me with the request to review their lip care products, I had to say an enthusiastic yes! After all, I had to do one for the Gummy! So, what so special about Mwah's line of products? Mwah® was launched in 2014 by Clio®, a leading global designer, manufacturer and marketer of personal care and beauty care products sold in over 25 countries. Our vision with Mwah is to offer an innovative, effective, fresh and healthy spin on lip care that’s still affordable for young women. Mwah lip care products are natural, void of harmful chemicals and preservatives, never tested on animals, and are produced in our 100% solar powered factory in southern California. Mwah products are produced in our 100% solar powered facility in southern California. The sun nourishes the mangos that go into our super-moisturizing formula and also powers the facility where Mwah is manufactured. Drawing from 100,000 watts of solar energy, our facility combines solar power, low energy demand equipment and motion activated lighting to reduce our carbon footprint and the environmental effects from manufacturing our products. Mango butter is one of the healthiest and most beneficial ingredients for the skin. When it comes in contact with skin it deeply hydrates and nourishes it. Mango butter has great emolliency and provides excellent protection against the suns damaging UV radiation. It is said to prevent drying of the skin and formation of wrinkles as it provides the skin with moisture and vitamins A, C and E. Mango butter also reduces the degeneration of skin cells and restores elasticity. Mango butter’s hardness makes it a great butter for stick formulations such as lip balm and lotion bars. Mango butter can also treat dry skin, heal skin peeling from tanning, heal sunburn, fight frost bite, and promote healthy, rejuvenated skin. Dermatologists often recommend mango butter for treatment of wrinkles, as many people who use it will notice decreased signs of aging and the disappearance of lines and wrinkles within 4 to 6 weeks of daily use. 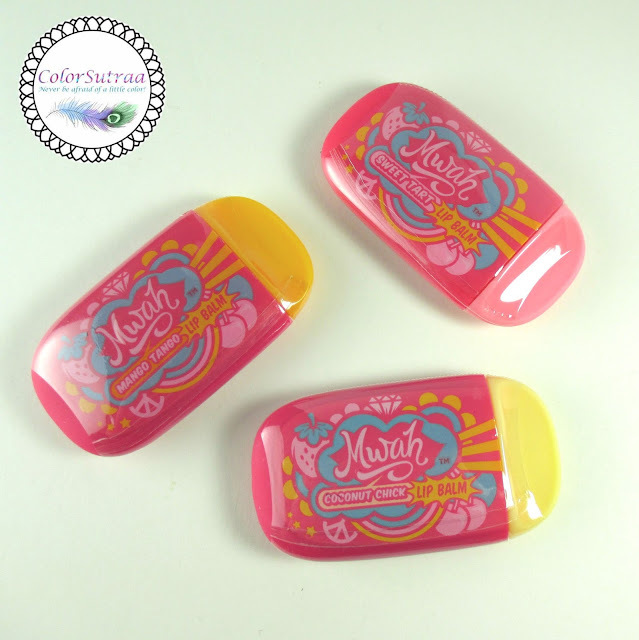 IMPRESSIONS : Mwah carries a range of fruity lip balms, glosses and lip balm "sliders" (essentially little slide-out pots of balm. I was sent three sliders and three balms to review and share with you all. 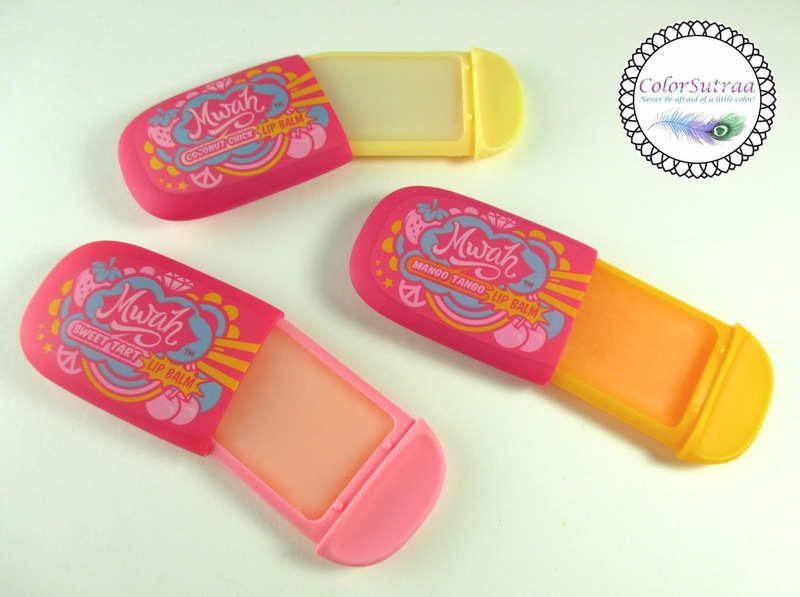 The "sliders" are super convenient, slim packets of lip balm that you can slip into your purse or even your pocket. These babies come in Coconut Chick, Sweet Tart and Mango Tango. Application is a breeze--just swipe a little on your finger and you're set. Great for travel! The lip balms come in brightly colored tubes in 3 flavors--Mango Madness, Creamsicle and Strawberry Sweetheart. 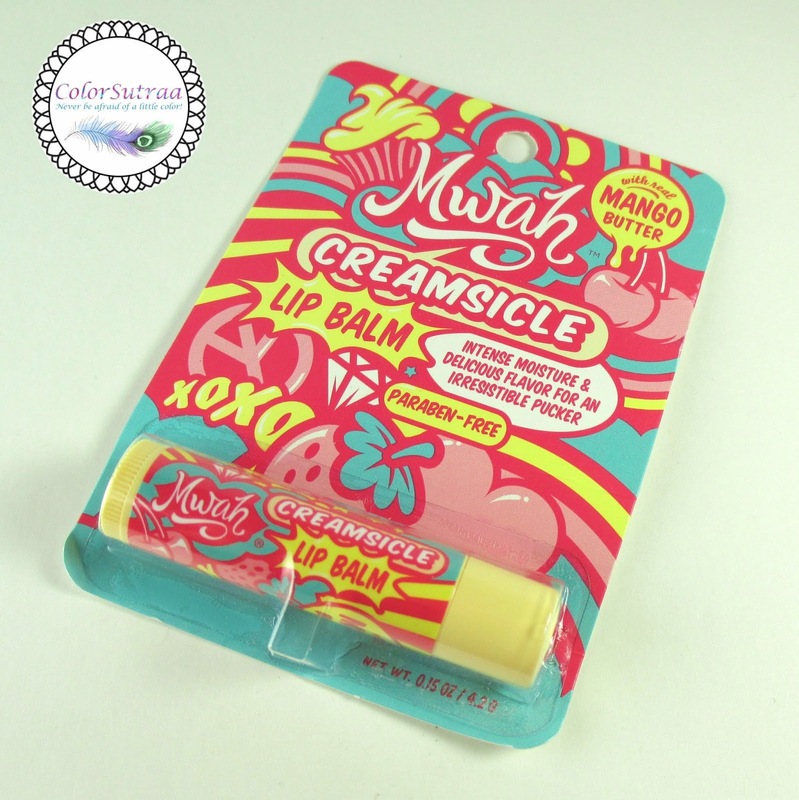 Super moisturizing yet surprisingly light, I loved the tropical flavors of these balms! These balms stood the test of the brutal heat of the Indian summer and came out with flying colors! My fave flavor? Hands down, Mango Madness! Takes me back to my childhood where our most anticipated summer treat was an ice-cold mango shake! So there you have it, my darlings! If you would like to pick up a couple of Mwah's balms for yourself or a balm-obsessed friend, you can check them out on their website HERE. They can also be found in your local CVS, Target, Walmart, Walgreens as well as on Amazon. I'm completely taken by the packaging and the names! I just love these they are so cute! That packaging! I thought those were soaps at first! You have to be your sister's favorite person ever for bringing these cute items home for her. 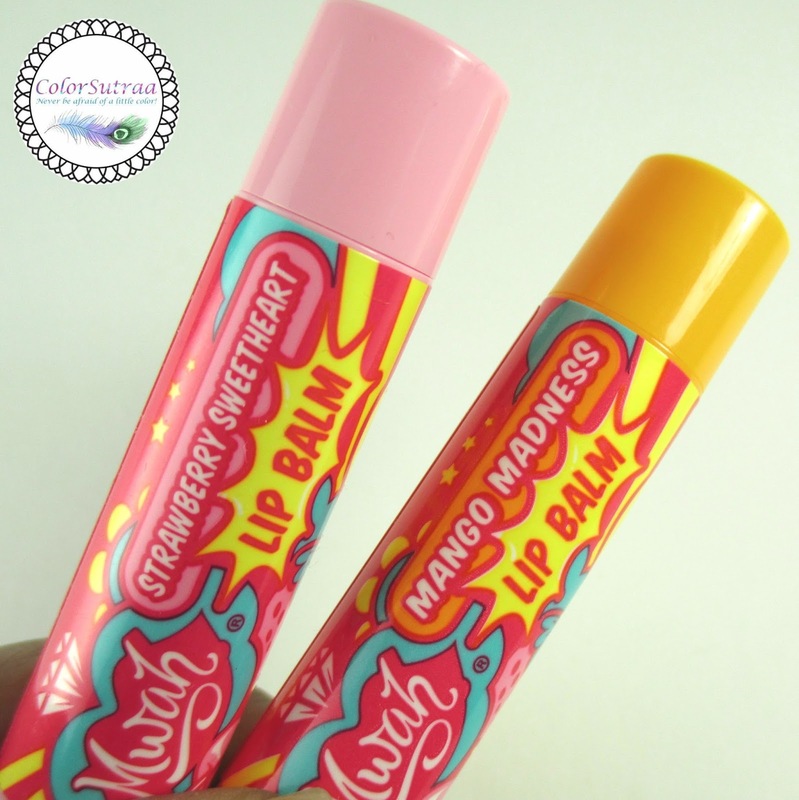 I love these lip balms, esp the sliders! I have been seeing a bunch of people talking about these lately. They look nice. OMG, these are the cutest balms that I have ever seen! Could these be any cuter?! I'm obsessed with lip balms too. I totally want to try these!